Liz is an Investment Manager in Augusta’s Diligence and Monitoring Team. Her role in diligence is to evaluate the legal and commercial merit of cases being considered for funding. The monitoring function is to work with lawyers with conduct of cases funded by Augusta to seek a successful resolution to cases. Liz has experience in a range of areas including class actions, financial services disputes, general commercial litigation and employment disputes. Liz has advised on complex commercial disputes for over a decade. 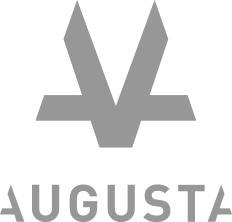 Prior to joining Augusta, Liz worked as a Senior Associate at Baker McKenzie, and also at Atanaskovic Hartnell and Herbert Smith Freehills (then Freehills). Liz is admitted to practice in New South Wales, is on the High Court roll and holds a BA/LLB from the University of Sydney, where she graduated with First Class Honours in 2004.